We are a Community Legal Centre. Set up in 1994, we aim to promote and protect the human and legal rights of people with disability and their supporters through legal advocacy. Our services include providing free legal advice, taking on selected casework, assisting with referrals, delivering Community Legal Education, and undertaking law reform and projects. Have you been discriminated against based on your disability in New South Wales, Australia? If so, we can offer free legal advice. If you are outside NSW or we cannot help you, we’ll refer you to a service that can. 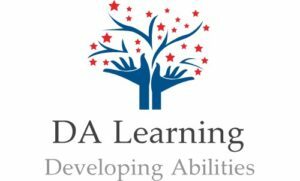 Deepika Aggarwal - Learning Support Teacher Deepika Aggarwal is a passionate and enthusiastic Learning Support Teacher who has spent over 14 years of her life helping children with ADHD and learning difficulties reach their potential. 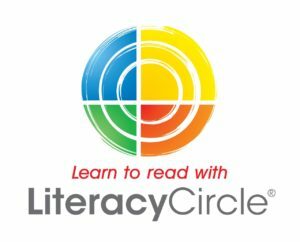 She empowers and works collaboratively with children, parents and teachers using international, evidence-based practices for literacy and numeracy. She is highly qualified with a Masters of Education in Special and Inclusive Education from the UK. She believes in using movement to teach as it helps to internalise concepts while making the learning process joyful. For this purpose she is pursuing 'Extra Lessons' - a holistic approach based on Rudolf Steiner’s philosophy combining movement, speech, rhythm and painting. Deepika offers her services to parents seeking help for their child, schools and child development centres. 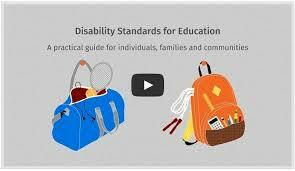 Disability Standards for Education: A Practical Guide for Individuals, Families and Communities This resource aims to increase awareness and understanding of the Disability Standards for Education 2005 among individuals, families and communities throughout Australia. It was developed by the University of Canberra in collaboration with ten funding partners: Australian Capital Territory Government Education and Training Directorate Australian Government Department of Education Catholic Education Commission New South Wales New South Wales Department of Education and Communities Northern Territory Government Department of Education Queensland Department of Education, Training and Employment South Australian Department for Education and Child Development The Department of Education Tasmania The Department of Education Western Australia Victorian Department of Education and Early Childhood Development The above agencies collaborated with the University of Canberra for three years to develop this resource and a suite of online lessons for school staff under the Disability Standards for Education eLearning project. This is a general resource about the rights of students with disability and how schools can work with students and their families to support them. The suite of online lessons for staff of Australian education providers is available at - http://dse.theeducationinstitute.edu.au/. Dr Bob Jackson PhD, Psychologist - Inclusion Consultant I work with families with children diagnosed with ASD or ADHD usually in relation to inclusion in mainstream schools and the adaptations required by the school to ensure that the child can succeed academically and socially in the regular classroom. Owner & Tutor: Dr Samantha Hornery Dr Samantha Hornery has been providing tutoring services in Sydney’s southern suburbs for over 20 years, with a focus on children who find learning difficult, perhaps due to concerns such as dyslexia, dyscalculia or ADHD. Samantha provides an initial assessment and an individualised weekly program from her Oatley premises. Assessments can be arranged on their own, without ongoing sessions, as well as consultancy support in areas including ways technology can empower learning outcomes. Nationally Consistent Collection of Data on School Students with Disability (NCCD) The NCCD is an annual collection of information about Australian school students with disability. The NCCD enables schools, education authorities and governments to better understand the needs of students with disability and how they can be best supported at school. PLASST - Personalised Learning & Signposting Tool The PLASST is a web-based tool developed by the NSW Department of Education and Communities to assist teachers and learning and support teams in profiling the educational needs of students who may benefit from personalised learning and support. This is available to all NSW teaching professionals via the DEC portal. Teachers complete a set of questions for an individual student and PLASST generates a student profile report which highlights relative strengths and needs of the student and where they may benefit from support or adjustments. This student profile report can then be used to inform decision making and planning by teachers and learning and support teams, in consultation with parents or carers for the provision of personalised learning and support for the student. PLASST can be used for any student whom teachers believe has additional learning and support needs. Small Steps Learning - Phillip Baldock Small Steps Learning is a tutoring company for students with additional needs including ADHD. We will locate tutors to meet your individual needs. Other services we provide include: assessment, advocacy and referral support, anxiety management, behaviour management, exam support, memory training, reading fluency/comprehension and mathematics, study skills, social skills, transition planning, life skills, motor skill development and coaching for students with disabilities/abilities. Available on the North Shore, Inner West, Southern & Eastern Suburbs. I have been teaching and tutoring on the Northern Beaches since 2007. I tutor Maths and writing but also help with public speaking speeches, homework, spelling and Grammar, as well as NAPLAN testing. I have also worked with children on the spectrum and catered for their abilities in the classroom and home tutoring. I am available to work with kids who live close to Manly.